November is Gratitude Month on the Guitar Train. Quirky T has so many things to be thankful for in her life. Going back to last month’s Happy Month on the Guitar Train, I believe that concentrating on what you have in life instead of dwelling on what you don’t have is one of the keys to happiness. On that track, I want to start Gratitude Month by thanking the New York Giants and New York Yankees for many seasons of amazing games and world championships. The last week in September this year was the worst I’ve ever witnessed as a New Jersey sports fan. On Sunday, September 22, the Giants lost their third straight game to start the season. 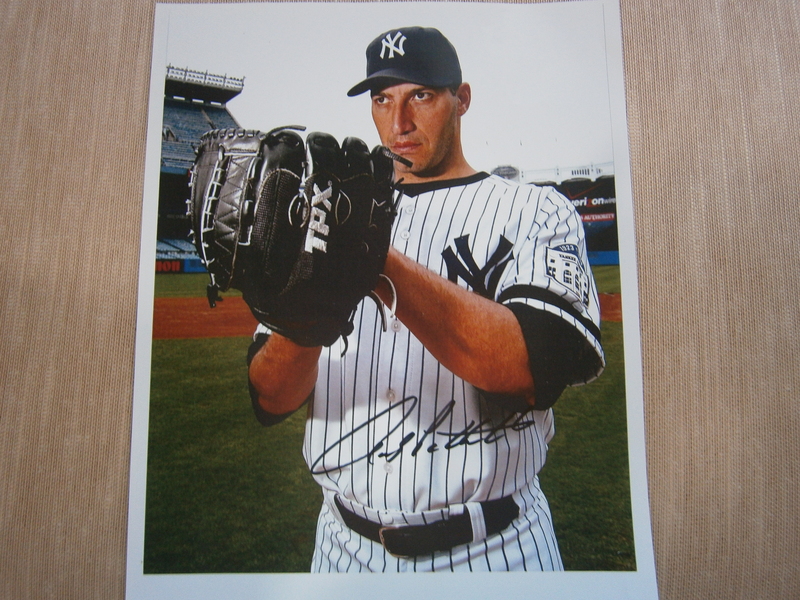 Meanwhile, the Yankees retired closer Mariano Rivera’s number 42 while pitcher Andy Pettitte started his last game at Yankee Stadium. They are my two favorite Yankees pitchers. The ceremony for Mariano was amazing as all Yankees ceremonies are. It’s sad that after Derek Jeter retires, there’s no one else on the team to honor. There’s nothing to look forward to. 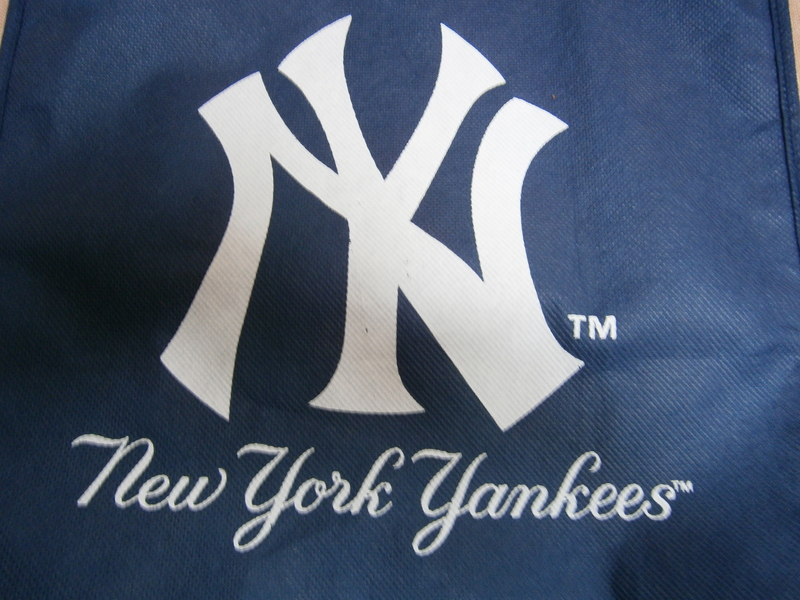 I went to a Yankees game in April of this year. Second baseman, Robinson Cano, was the only returning starter from last year playing because of the huge amount of player injuries. It was like watching a whole new team. The season ended basically the same way with many of the starters not returning from injury. There are so many questions surrounding this team for next season. Will Alex Rodriquez play again? Will Derek Jeter be healthy? Who will the starting pitchers be? Who will be the closer, not to replace Mariano because that is impossible, but just to close games? Will Alfonso Soriano continue to play as well as he surprisingly played? At least, Joe Girardi will still be the manager. That worst week in September continued as the Giants lost their fourth straight game the following Sunday. At least with the Yankees, they know what they have to do to improve and which positions they need to fill. With the Giants, the answers are not coming. They have had injuries, too, but it is more than that. It’s surprising that this franchise could start the season playing that badly but it shouldn’t be totally shocking considering how badly they played at the end of last season. The other times I’ve been through losing streaks with this team, the talent wasn’t there. I would never think that a team that has two time Super Bowl MVP QB Eli Manning and great receivers could be playing so badly. The only way I can survive this horrible time is to remember all the great seasons in the past. The five World Series I have seen the Yankees win. 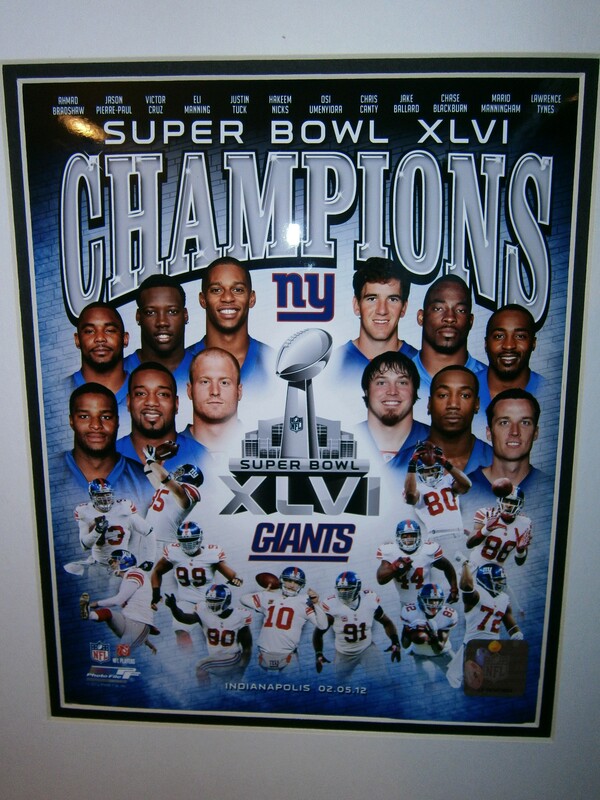 The four Super Bowls I have seen the Giants win. Some fans never see their teams get to the playoffs, let alone win a championship. So I am very grateful to have seen my two favorite sports teams not only win but win repeatedly. I guess because of these big victories, my expectations have been raised. I have to step back and be happy for the many past seasons of glory and amazing games. I am also tremendously thankful that I was able to see my favorite teams play in a World Series game and a Super Bowl in person. 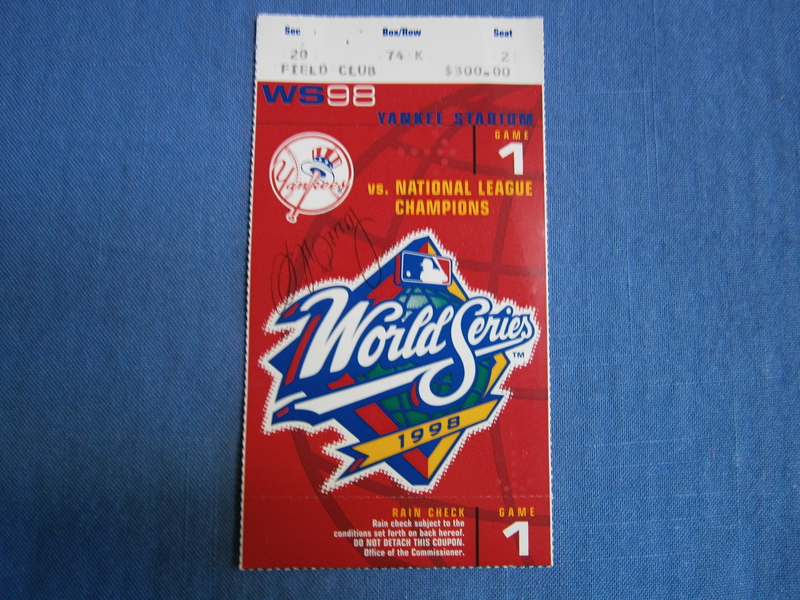 I went to Game One of the 1998 World Series when the Yankees played the San Diego Padres. Not only did the Yankees win that game but my favorite player, first baseman Tino Martinez, hit a grand slam. 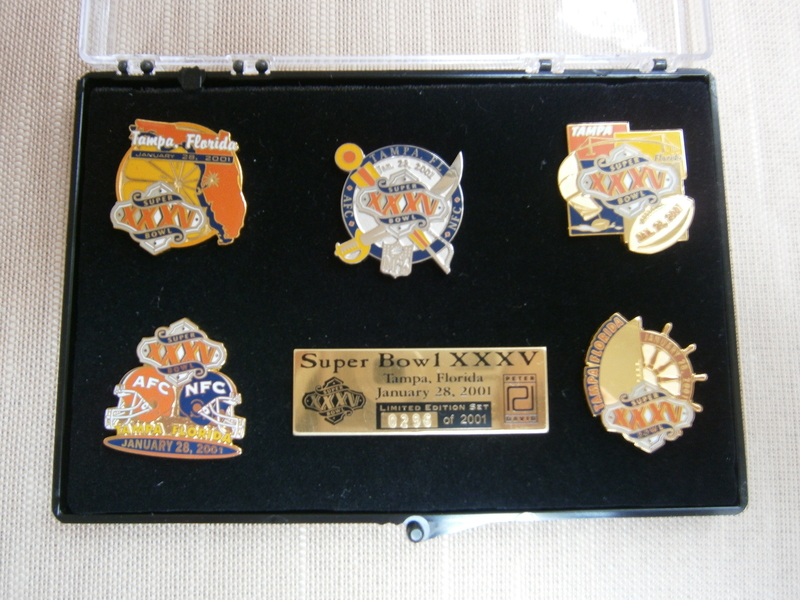 I went to Super Bowl XXXV in Tampa, FL where the Giants played the Baltimore Ravens. Unfortunately, the Giants lost that game. It was the worst feeling in the world at that time. That song was played frequently in reference to the Yankees World Series Championships in 1996, 1998, 1999, 2000, and 2009. For the Giants, the songs that remind me of them have nothing to do with the games on the field. In 1990, I was lucky enough to be able to tour the Giants locker room as part of an event held at Giants Stadium. While fans walked around the locker room, the Wilson Phillips song, “Impulsive” was playing in the background. I was already a fan of the group so it really added to the fun of the moment to hear this song playing. Years later, when I was leaving a Giants game, on the car radio the Green Day song, “Good Riddance (Time of Your Life)” was playing. I remember looking back at Giants Stadium lit up beautifully in the night and taking a mental picture of it. Watching the Giants win the Super Bowl in 1986, 1990, 2007, and 2011 really was the time of my life. Guitar Train passengers, what sports teams are you grateful for? How do you get through the bad times with these teams?